PM Narendra Modi is going to visit Himachal Pradesh on 18th of October 2016. 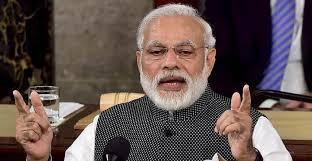 Narendra Modi will address rally's in in Himachal and will inaugurate some power projects in state. Himachal cm Virbhadra Singh congratulated army and central government for surgical strike on Pakistan occupied Kashmir on terrorists. PM Modi will address two rallies in Nahan (sirmaur district) and Mandi district. He will put base stone of IIM in Nahan and AIIMS in Bilaspur district. Narendra Modi will inaugurate kol dam and rampur power projects. Government of Himachal Pradesh and State BJP is preparing for tour of PM Narendra Modi. In government official program , it is expected CM, some ministers of state , former Cm Prem Kumar Dhumal , JP Nadda ,member of parliament will join program. PM Modi will inaugurate AIIMS in bilaspur and IIM in Nahan. 600 crore rupees will be spend on AIIMS and it will be full of 900 beds and super speciality facility. Accumulated plan of AIIMS is ready and work will start according to plan. After AIIMS, pressure on Tanda medical college and IGMC will decrease. Patients will not be referred to PGI Chandigarh. PM Modi will inaugurate power 412 MW rampur power project and 800 MW kol dam project powered by SJVNL. Government have lot of hope with PM's visit. They are expecting a lot from PM to complete incomplete projects. Cm Virbhadra Singh said there should be no politics on surgical strike issue. He also said central government is a respectable and trustworthy institution so everybody should respect it.